Yoo hoo! So, I mentioned last week that my favorite squirrels and I are joining forces to do a yard sale / popUPshop. Well, it's happening, and it's happening this Sunday! It'll be a jungle full of goodies from Paper & Type, Satsuki Shibuya, Justina Blakeney, Jessica Comingore, and Faith Blakeney. 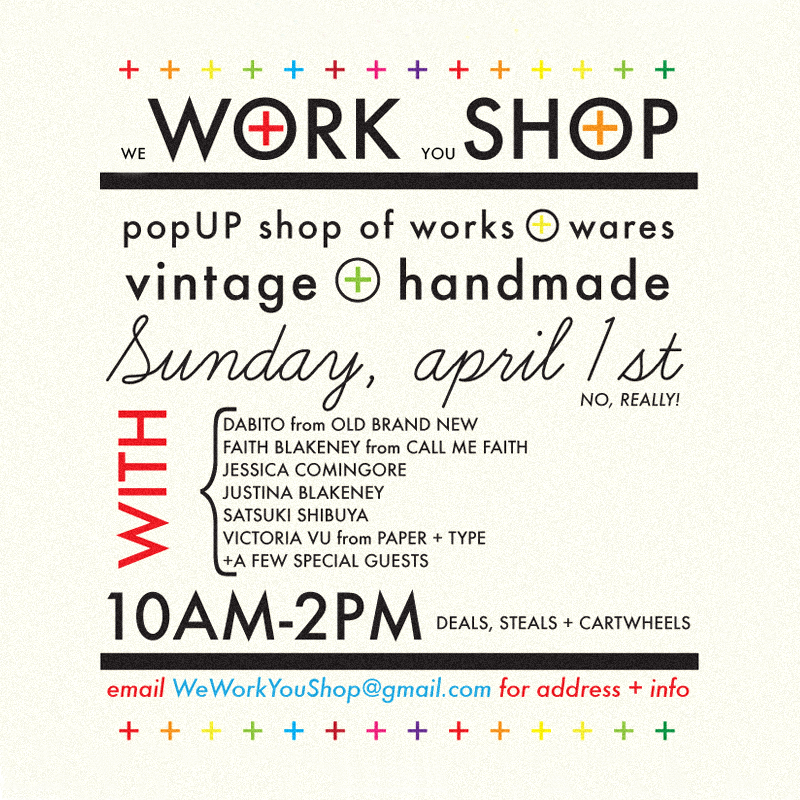 I'll be passing on some of my vintage stuff and also seling my prints. I'll take some photos of what's in store for you later on. I'm really excited. It's my first yard sale ever. If you're in the LA area, come on over! It's gonna be at Château de Old Brand New. Yep, you can take a peek of my new place too! It'll be lots of fun. We hope to meet some of you vintage vultures! You can RSVP by commenting with your email below or send us some love at WeWorkYouShop@gmail.com and we'll send you all the info.